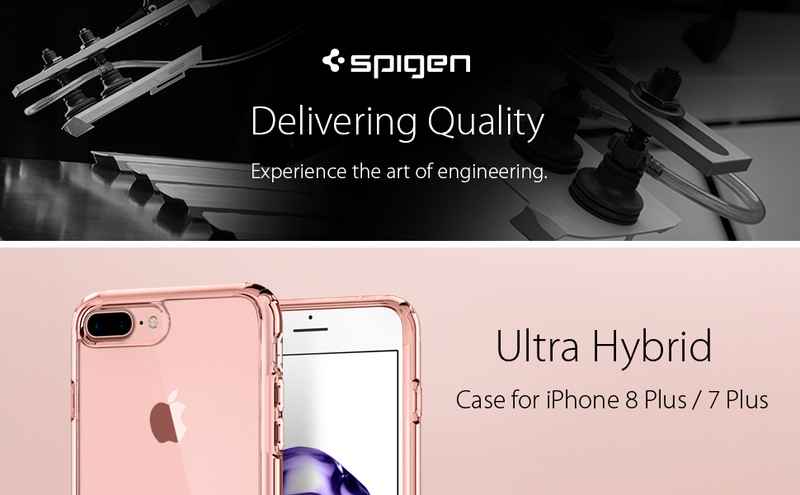 Spigen Ultra Hybrid 2nd Generation is ideal for minimal enthusiasts that still value protection. 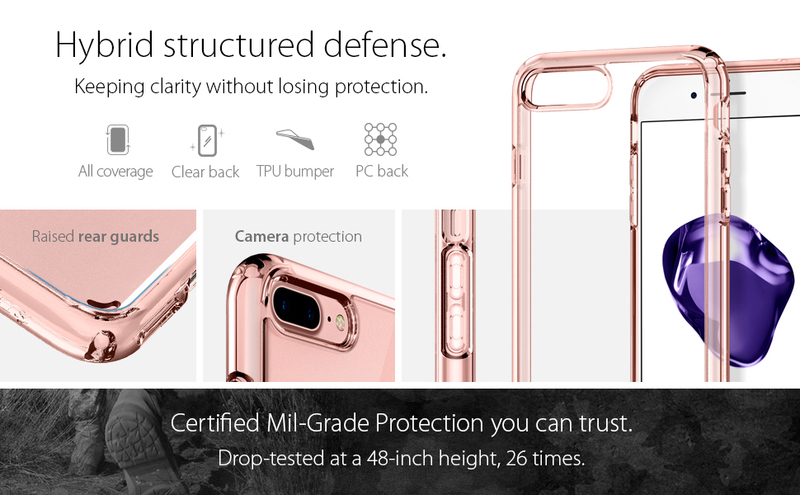 Ultra Hybrid 2nd Generation is an ideal iPhone 8 Plus / iPhone 8 Plus Clear Case for showing off your new iPhone 8 Plus / iPhone 7 Plus through its crystal clear TPU while also promising protection with Air Cushion Technology and bumper protection. Raised lips are strategically placed behind every corner to ensure camera and back protection. Ultra Hybrid 2nd Generation is available in five different colors: Crystal Clear, Rose Crystal, Black, Mint, and Red. PC back provides long-lasting clarity that does not turn yellow overtime. Ideal iPhone 8 Plus / iPhone 7 Plus Case for iPhone 8 Plus / iPhone 7 Plus Clear.